RADHE (2017 / 2074) is the Nepali movie made under the banner of Hari Om Cinemakers. The movie stars Nikhil Upreti, Priyanka Karki, Ashisma Nakarmi in the lead role. This is the first movie of Priyanka Karki and Nikhil Upreti romancing together. Though Priyanka Karki was also seen in the movie LOOTERA starring Nikhil Upreti in the lead role, it was just an item song which doesn't count. The movie is produced by Sushil Pokhrel and directed by Jagadishwor Pokhrel. The movie is scheduled to release on Baisakh 1, 2074. And as usual, we are going to see the clash between two films in this date. Dayahang Rai and Keki Adhikari starred GHAMPANI is also scheduled to release on Baisakh 1, 2074. The 40-second teaser features three lead role actors Nikhil Upreti, Priyanka Karki and Ashisma Nakarmi. The movie focuses on Action, where we can see Nikhil Upreti as an Army Commando. 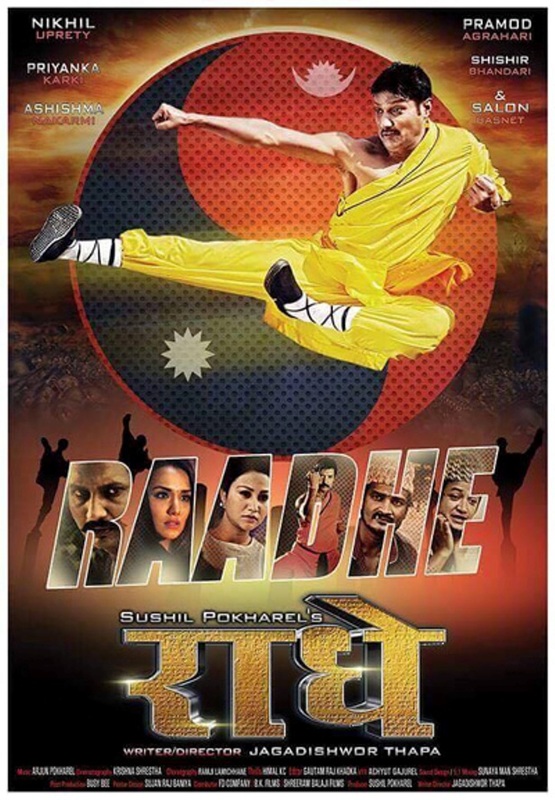 Hari On Cinemaker Presents Nepali movie RADHE starring Nikhil Upreti, Priyanka Karki in the lead role.